My GNOME journey started with ~3.10. I’ve got pretty quickly interested in programming, so I started to learn Vala. My first real project was a small tool to listen to internet radio streams, which is today known as Gradio 😉. Gradio was a small project, which I programmed to learn Vala. And today, 3 years later, it’s one of the most downloaded applications on Flathub. Last year in April I’ve started a new project, called Fragments. 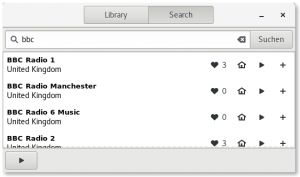 It’s a simple GTK3 torrent client, also written in Vala. I got in touch with Tobias Bernard, who helped me to design the awesome interface. A bit later I’ve got interested in Rust. I wanted to try something new, Vala got boring for me. Rust has a rather steep learning curve, so I looked around for already existing projects which were written in Rust and came across GNOME Podcasts. I’ve got involved and started hacking on it. After few weeks, I implemented successfully MPRIS support in Podcasts 🎉. I wanted to rewrite Gradio entirely from scratch using Rust. But I noticed it’s better to start a completely new project. This step also helps to get rid of the horrible name. No one knows how to spell ‘Gradio’ correctly (not even me), and many misspelled the name as ‘GRadio’. After a while of brainstorming with the awesome guys from #gnome-podcasts (matrix channel) we found a new name: Shortwave. If anyone wants to know more about the name, feel free to read this article. What does this mean for Gradio users? I’ll stop maintaining Gradio, which means there will be no more major updates. But don’t worry, Shortwave will include all important Gradio features, and your data can be transferred easily from Gradio to Shortwave. You can track the development of Shortwave here. I finally migrated all my projects from GitHub to GNOME GitLab. The migration process was pretty easy. You just have to click one button, and the whole repository gets imported (including all issues). Shortwave and Fragments are now in the World group. 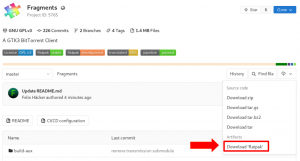 If you haven’t moved your GTK project to GNOME GitLab yet, move it! There are so many advantages in comparsion to GitHub! I’m still quite busy with my final exams at the moment, after that I’ll try to get even more involved in GNOME. I want to thank everyone who helped me become a part of the GNOME community! This entry was posted in Uncategorized and tagged foundation, fragments, gradio, shortwave by haeckerfelix. Bookmark the permalink. I loved Gradio and now I look forward to Shortwave. Cool name for the app, BTW. I recommend using the cascade crate with the gtk-rs API. It makes the creation of GTK widgets much simpler. Keeps your GTK code neatly organized with a Builder-like pattern.